This post is a little story about my first trip to Europe to be able to do what I like best: represent Mozilla and its mission at Mobile World Congress (MWC) - the biggest event on mobile technologies in the world. Were invited 100 direct employees from Mozilla and another 5 Mozilla Reps to join the MWC. The volunteers were Arturo (Venezuela), Gloria (Colombia), Nukeador (Spain) and Willyaranda (Spain) and me. I leave Brazil on my birthday (February 21) to spend an intense week in Barcelona working on Mozilla's booth. Months before the event we had to start online training with the team at Mozilla about how to talk about Firefox OS. These trainings are essential if everything went perfect. The staff, as always, was excellent and always answered any questions that we had. A day before the MWC begins, all were taken to Fira Gran Via to the recognition of the booths and the latest training. Dan commanded that part. He is an amazing guy and a lot of patience and attention to deal with everybody. Day 25 came and opened the event. I was excited and nervous at the same time. Nervous because I knew I would have to train more my English and Spanish. But after a while everything was going well and was general understanding me. Everyone had an schedule of where would stay. 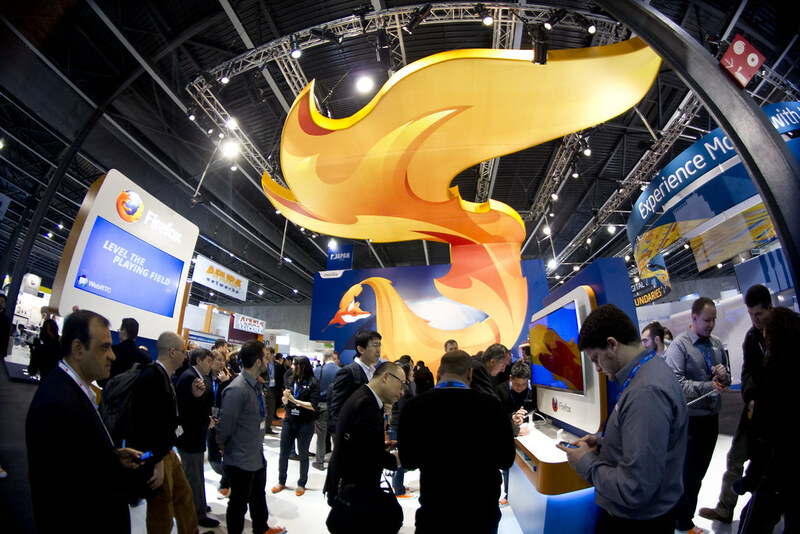 I started the first day on the Telefónica booth talking about Firefox OS. The next day, in the ZTE booth, I met many Asians interested in the project. This booth was a very busy and I hardly stopped talking for a minute there (so did the booth of Mozilla). In the following days, I was only in the main booth at Mozilla. A beautiful booth for a sign. There were people from various companies wanting to know more about the OS and why that Mozilla was entering this market. The world's press was also interested in knowing more and writing material for their respective websites/portals. I also met people from Brazil (press, universities, companies) that came to me to talk about the project and about possible partnerships and events in Brazil talking about Mozilla and Firefox OS. Some of these Brazilians came to talk to me because Luciana, who is also Brazilian, referred me to them.